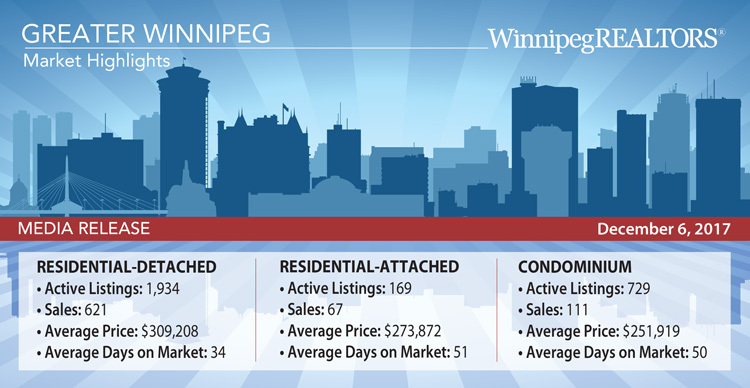 Winnipeg – If you are going to duplicate a month’s sales activity, do it when it is a good one and that was the case in November. 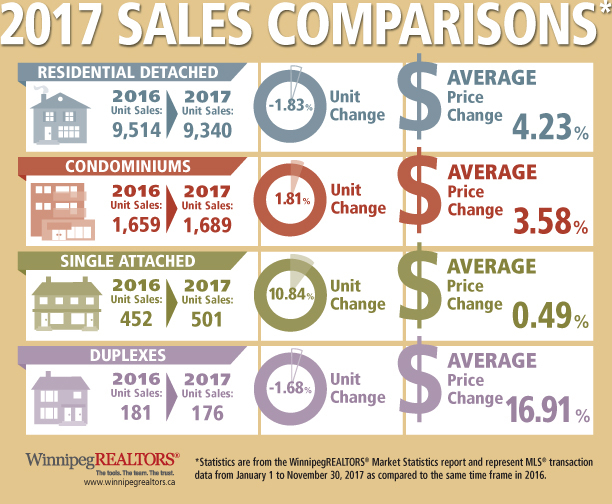 MLS®sales of 878 units in November were one sale higher than November 2016 and 4% above the 10-year average for this month. 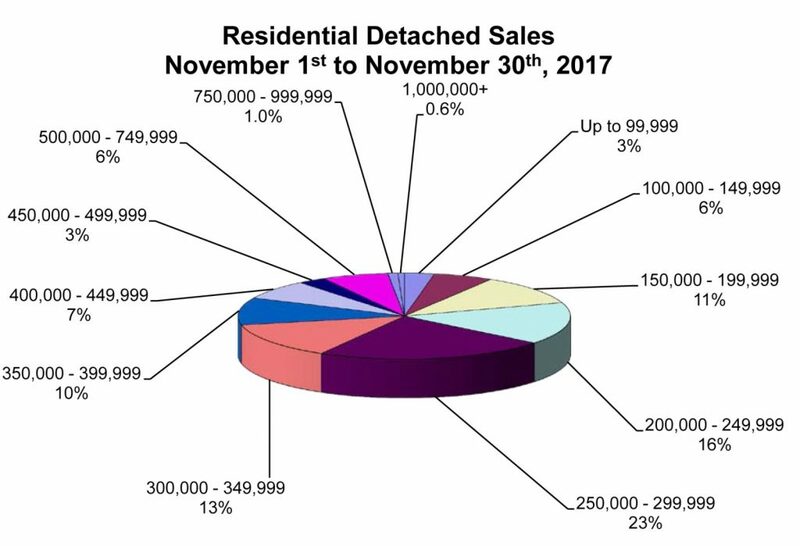 Only once in 2015 did November sales edge over 900, so not a big difference in sales.